Its going to be weaker on today's oils. On the right condition it should do good. But it will not do well on longer or heavier patterns. 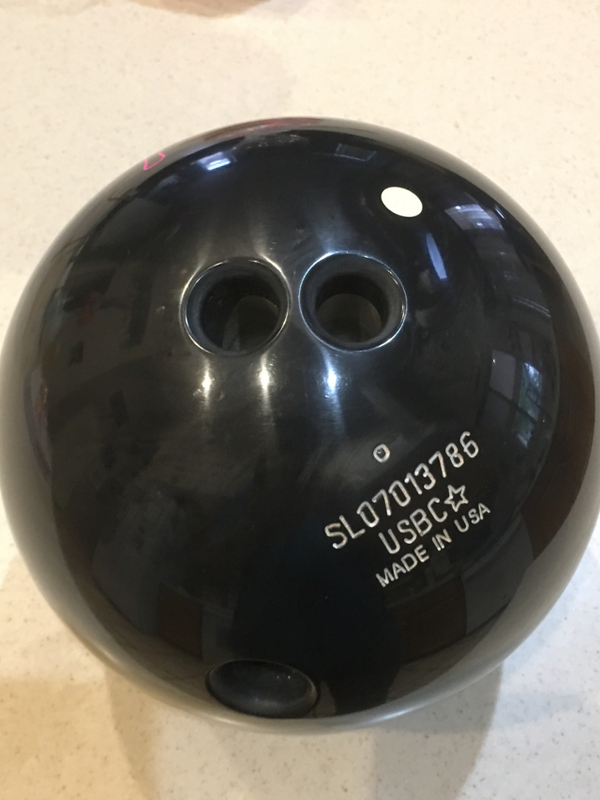 I don't mean to get smart here but many (if not most) of today's league bowlers bowl on conditions that don't quite fit the description of longer or heavier patterns. This ball COULD work on longer oil if it's light in volume and broken down. The cover is not very strong in oil but it is very responsive to friction. I would say it is closer to the Code Black but it is a bit longer and flipper. Don't be fooled, it is not a dry lane ball by any means unless you are a spinner and/or extremely speed dominant. I would say medium oil is where the ball looks best. Its a super strong core, mild cover. It will flare around the ball if you have any hand and too strong of a pin. I wish I had done like a 1-1/2"-2" drill on mine. It just rolled out even at 4.5" as soon as it hit friction. Um. OK.. Got it thanks for the heads up. ^this. My immortal just plain curls like a beast in last 10 feet. Only danger with that big diff is ball can get in a roll too soon for some styles but not mine on house shot. *Decides to get a little smart* You're welcome, man! i was a little confused by the drilling instructions for the AMB. i took it into my PSO and he was confused too. here is what it said on the website. i was wondering if anyone can simplify this. he was confused by the AMB pin (where is it and is it a pin or an engraved spot like the MB on a symmetric ball), also is the white flip pin the regular pin or is it something else. I think, going from memory, that the larger pin is the normal pin. AMB = Anti Mass Bias. So the smaller pin is 180° from the mass bias. As instructed, draw a line from that smaller pin through the larger pin and at 6-3/4 inches, mark that spot for the mass bias (which should put it 180° from the smaller pin). Use that penciled mark as your mass bias for layout purposes. The smaller pin should be on the bottom side of the ball from the label (CG area). Again, from my memory, so any other comments would be appreciated. This is right and is also why my driller mumbled under his breath why they are no longer in business. I love Visionary don't get me wrong but stuff like this and the z spin balls its easy to see how they shot themselves in the feet a lot. I won't even go near the Breed balls. Also back on topic IIRC the AMB pin is the black pin. Here is a picture how mine is laid out. Black pin on back side. There will be a small clear pin 6-3/4" away from the white pin, thats the amb. Draw a line from that, through the pin 13.5", thats where the mass bias is. The small pin should be opposite the label/cg area.